This has been a bit of a hard message to write. It involves a past teacher who I’ve greatly admired, Doreen Virtue. I was her student and what she created changed my life in a very powerful and positive way. She helped set this career path into motion for me and I know this is true for many others as well. For this, for her, I am eternally grateful. That said, I know there is a lot of fear, anxiety and disruption that has come out of her recent choices and announcements. To that, I feel heavily guided to respond. In 2017 Doreen Virtue, author of many angel oracle card decks, metaphysical books, an angel communication teacher and so much more, announced that she was leaving all of that behind to convert 100% to strict Christianity. Not only did she leave it all behind, but she denounced it and claimed that those teachings were the working of demonic forces. Earlier this week, she posted an article: An A-Z List of New Age Practices to Avoid and Why. It’s a lengthy article and going straight to her bit on angels, she shares that demons can disguise themselves as angels. Her belief is that we should not be speaking directly with the angelic realm and that it’s impossible for us humans to know the difference between benevolent and malevolent energy. It can be easy to feel alarmed by her claim, especially since she used to be considered an expert on all things angels. It can be easy to judge her. It can be easy to doubt what you know to be true in your heart. First, we have no idea what precipitated this change of direction for her. To judge, condemn or criticize her is not what our angels want. It’s not our role and honestly serves no one. Instead, we are asked by our angels to hold her in the purest vibrations of love and light so that she can live out her aligned life and work through whatever karma she may be facing. May she know true grace. Second, she’s made it clear that she no longer wishes to communicate with the angelic realm. That’s her choice. It doesn’t mean that what you know to be true in your heart is wrong. In fact, I take it as an invitation to double down on the faith I have in my angels who prove their existence and unending love to me every day. You can, if you choose, do the same. Your heart is a powerful energetic vortex and it is my strong belief that it knows the difference between benevolence and malevolence quite easily. The mind, where fear takes up residence, is what interrupts the process of discernment. Trust the Truth that lies deep in your heart – where your angels live – and you will know only goodness. Third, you may have spent much of your life giving your authority away to other people you believed knew better than you – parents, siblings, teachers, religious mentors,… If you believe that your angels are guiding you back to wholeness, to trusting yourself, to reclaiming your beautiful, true voice and power – then I invite you to let this earth plane drama go and to release any inclination to give it continued energy. 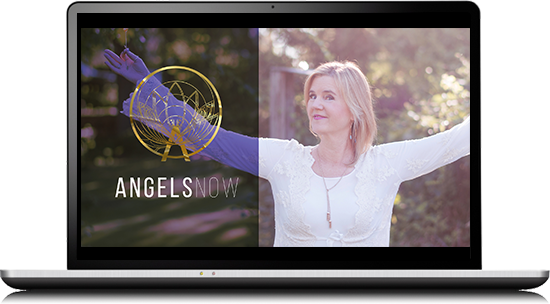 I invite you to continue to work with your angels to reclaim your inner authority and embrace the decision making process that is yours alone in partnership with your winged allies. I pray this message brings peace to all who may need it with renewed faith in the Love that lies deep within.